Following Sterling's spectacularly successful launch of its children's classic novels (240,000 books in print to date), comes a dazzling new series: Classic Starts. The stories are abridged; the quality is complete. Classic Starts treats the world's beloved tales (and children) with the respect they deserve--all at an incomparable price. Louisa May Alcott's classic novel, set during the Civil War, has always captivated even the most reluctant readers. 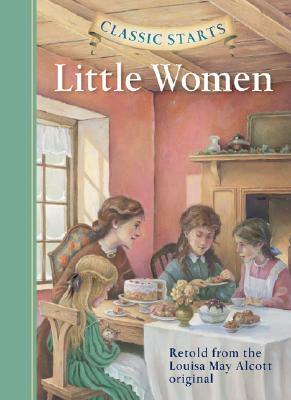 Little girls, especially, love following the adventures of the four March sisters--Meg, Beth, Amy, and most of all, the tomboy Jo--as they experience the joys and disappointments, tragedies and triumphs, of growing up. This simpler version captures all the charm and warmth of the original.